I read recently that kids just aren’t interested in entire albums any more. The iTunes / iPod revolution makes it so easy to pick and choose whatever song, mix or order from an album that you want. It’s not right though. Elbow were recently nominated for the Mercury Music prize and have actually asked Apple if their albums could be “locked”, i.e. ensure that they can only be bought as a complete package. I agree. I mean, what’s the point of taking two or three songs from an album? The songs were conceived separately but the track listing was agonised over for a long periods of time and the songs are meant to be listened to as a complete work. Imagine just hearing ‘Great Gig In The Sky’ or ‘Money’ on their own? What about the rest of Dark Side Of The Moon!? Ash announced last year that ‘Twilight Of The Innocents’ was to be their last album. They said that they liked to get music out to their fans on a more regular basis as opposed to waiting an entire year for the next album. Now there is logic to that but surely the anticipation of the first single and then the eventual release of an album is worth it? I’m already dying to get my hands on the new Doves album and that’s not out till 2009. I remember back in the 80s and early 90s, Dave Fanning (DJ on 2fm) used to get the ” only copy in the world” of U2’s newest album and play the entire disc once on his evening show. Naturally I was poised and ready over the PLAY and REC buttons on my stereo to get all songs on tape. His show was always eagerly awaited each week, to say the least. I’m sure there will always be albums. I currently stick with CDs and downloads but almost always buy the whole album. 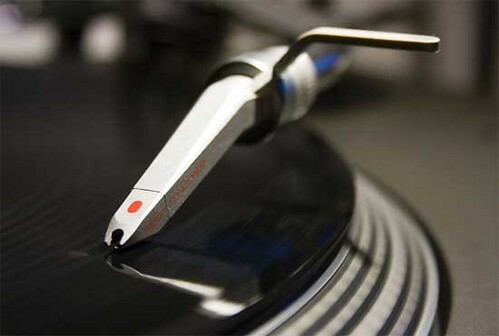 Vinyl will always be the format of choice for many, many music fans and there has been a resurgence recently in the number of albums being released on vinyl. I couldn’t believe the size of the record section in the Zavvi store in Dundrum. It’s massive and not too expensive either. Long live the album I say. And long live vinyl.